As exam results are issued and careers begin, RCN cancer and breast care forum Susanne Cruickshank reminisces about her first job, and the journey into cancer nursing. As exam results are issued and careers begin, RCN cancer and breast care forum chair Susanne Cruickshank reminisces about her first job, and the journey into cancer nursing. 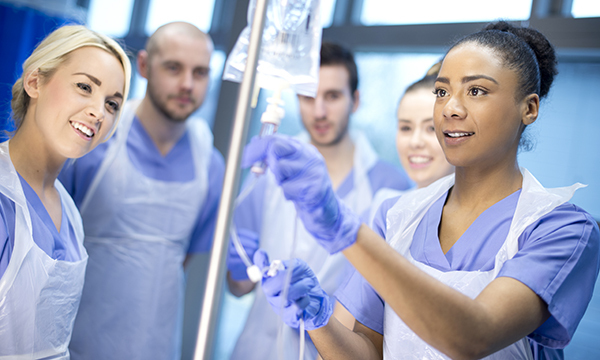 It is that time of year when newly qualified doctors and nurses begin their careers in the NHS. As a mother of a junior doctor, and a teacher to 14 nursing students, I have never been more acutely aware of the emotional rollercoaster that precedes the first job. Nursing students are excited, but also anxious as they go through a series of interviews to find their first job. How many of them will end up working in cancer and palliative care services will be shaped by their early workplace experiences. I know mine was. Reflecting on my own journey, I always found caring for cancer patients hugely rewarding. From day one, when I found myself working in a maxillofacial surgery unit, I realised that together with my colleagues I could make a difference to a person’s care. Over the years, the way services are organised has changed a lot, but nurses are still at the forefront of providing excellent cancer care. I was particularly influenced by some of the nurses I worked with. I still remember the ward sister I met when I moved to a breast cancer surgery unit. She was compassionate, respectful and inspiring to the patients, but also to her staff and other health professionals. I remember how enthusiastic she was to provide patients with the best care she could even on approaching retirement, while sharing her wealth of knowledge with us young staff nurses. The NHS is under pressure and oncology services are no exception. These new nurses will be nervous as they start their careers; they will need encouragement and reassurance as they find their feet. Never underestimate the influence you may have on the next generation of nurses.